Recently I took part in my first photo shoot, not as the subject thankfully - am a little camera shy! rather, this was to create fashion imagery. My preconception was that fashion images centre around the clothing of the fashion designer, such as this dress from our shoot by designer Deleisha Swaby, but having spent some time now watching people at work in fact one image requires several creatives and their ability to collaborate to deliver a single vision. 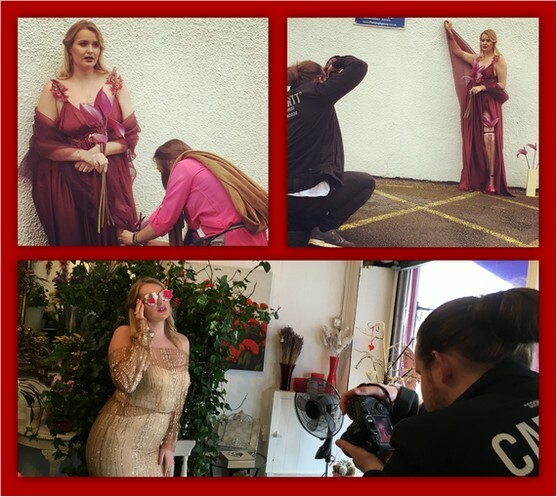 Conducting the merry orchestra of creatives was Lorianna; a stylist who composed the concept of our shoot and co-ordinated us all to come together. 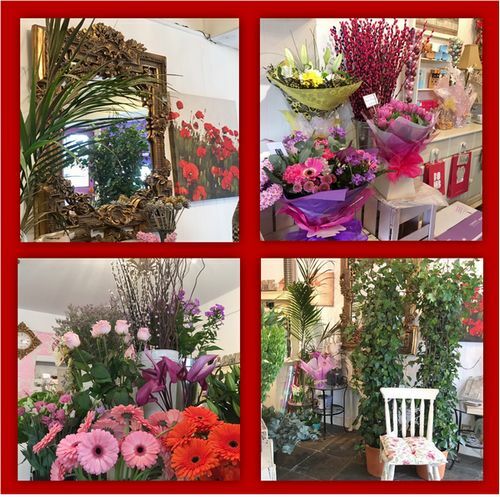 The location was an independent florists; Sarah Kelly's Flower Room, which is an enchanting little place that's been in South Birmingham for many years, aside from being filled with warmth and colour, it was the most fragrant venue I've had the pleasure to work in. Our model (not camera shy) Karen, was a joy to watch at work, aside from being very obliging at being draped in finery and quirky touches to add some individuality to the shot, it was very refreshing to watch someone at ease in front of the camera and something I've not really seen before. 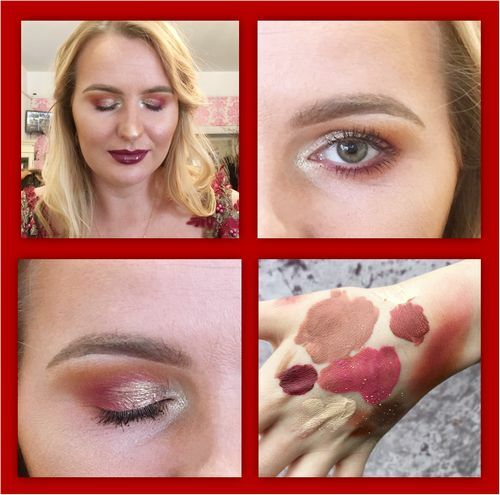 Despite Karen's natural beauty she was made up to suit the concept of the photo shoot, and that required the artistry of our make-up artist Ellie, who brushed, blended and sculpted with surgeon-like precision, resulting in features that were defined and stood out on camera. Since I was there, it would have seemed rude not to add to the overall look with some jewellery, many of the pieces in the pictures were from the Little Black Dress Range, largely due to wanting to add a sense of harmony with the dresses for the concept we were aiming for. Finally, we relied on the numerous talents of Liam to capture all of this creative vision on camera and immortalise the collective work in a visual medium. I will post some of the final images in Part 2 so you can compare the difference between someone snapping a picture on their phone as I did, vs. the professional version that considers among many things lighting, angle, what lens to use and then editing it all afterwards. I'm looking forward to showing you the final versions, but for the moment I wanted to share with you how many people are involved to create a fashion photo, this shoot took the work of seven different talents and I can only imagine that for more high profile established designers that number increases. Our Location: Sarah Kelly's Flower Room Lorianna (Stylist) and Liam (Photographer) perfecting the shots!